Grapevine cuttings were certainly part of the First Fleet and Sydney had many early vineyards. From 1860, disease wiped out the European vineyards making some vineyards in Australia the oldest in the world. Grapevine cuttings were certainly part of the First Fleet and Sydney had many early vineyards. 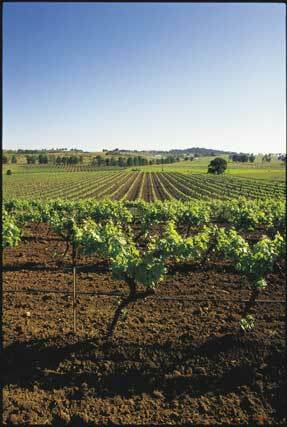 First plantings in the fertile flood plains of the Hunter Valley date from around 1830, making it the oldest commercial wine region in Australia, with Victoria, SA and WA following soon after. Nearly all Australian vines were from European vineyards, so it follows that we have vineyards planted on their own roots that have a direct link to the vineyards of Europe sourced from the mid to late 1700s. From the 1860s onwards, however, the grape root louse Phylloxera wiped out European vineyards. The problem was eventually overcome when – sacre bleu! – French vines were grafted onto resistant American ones. The irony being that it may well have been the American vines that brought the Phylloxera plague in the first place. The important part of all this is the difference in having vines that are on “own roots” and on root stock. Australia wasn’t entirely immune but the Hunter, SA and WA were spared, meaning that Australia – and the Hunter in particular – has the largest acreage of (mainly Shiraz) on own roots and the oldest (well in excess of 120 years) vines in the world. Northeast Victoria, Mclaren Vale and the Barossa could also claim the same. So grab a glass, go stand in an old-vine vineyard and know that no-one else outside of Australia can do it. Where // McWilliams, Draytons, Tyrrells, Wyndham Estate to name a few in the Hunter, as well as parts of northeast Vic, Mclaren Vale and the Barossa. Did you know? // The Phylloxera problem became so severe in Europe that many unorthodox methods of combating the lethal insect were tried – including toads being buried under vines and having school boys go out en masse expressly to urinate in the vineyards.